Shooting-game without bullets? New sensation, dodging action! Survival action give many thrill playing at just a simple swipe control! 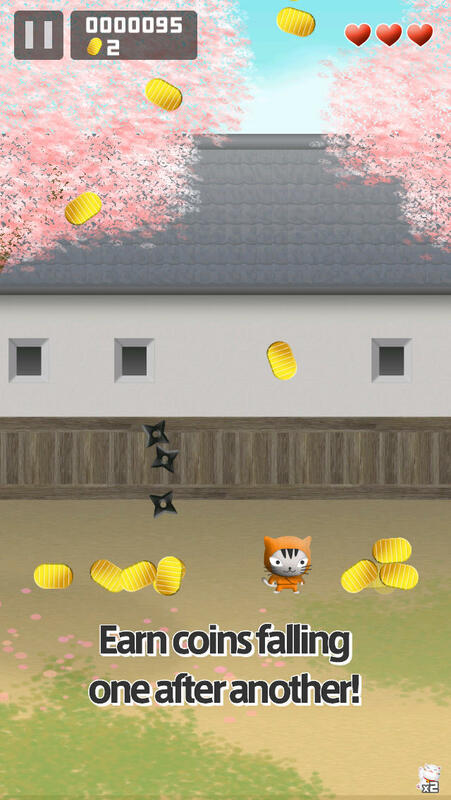 Earn coins falling one after another and let's unlock various items, ninjas and arenas! Go to ninja training! What level is your skill of ninja? 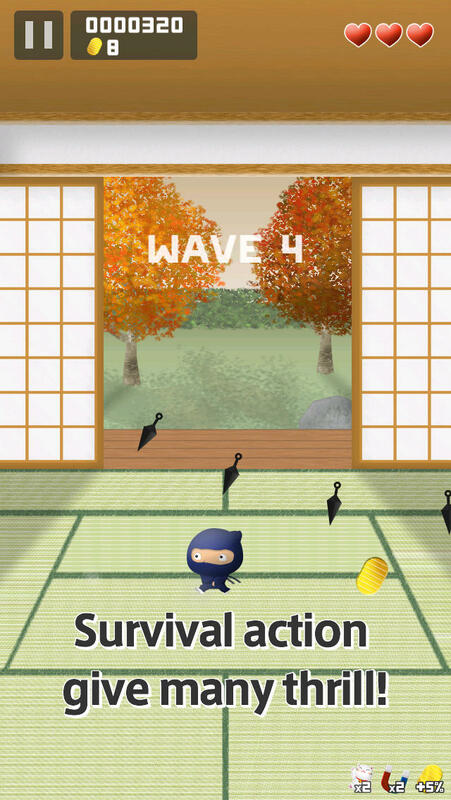 While dodging the attacks by operating the ninja, you collect coins. 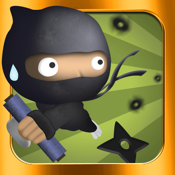 Keep on put your finger on screen and move ninja by swiping left, right, up ! TIPS. Place your finger away from Ninja! You will get high score if you keep dodging attacks as long as possible. ■ Choose Character and Arena! Various ninja and arena appeared! You can unlock with coins earned. There are differences such as statuses and bonuses. ■ Falling objects does not just coins! In game, there are falling items other than enemies and coins. SPICE is arouse, MANEKINEKO(LUCKY CAT) is coins fever. And the bird have daily golden egg will come. ■ Would play to advantage the game! In STORE, you will be able to purchase a store item. Store items makes up the probability of occurrence of items falling in the game. Apply automatically at the next game, the store purchased items are consumed one per game. In game, applied store item is displayed in the lower right of the screen. It corresponds to the GameCenter Leaderboard and Achievements. You can compete with the ranking of hi-score to players of the world!